New ഀ Zealand is an island country in the south-western Pacific Ocean comprising ഀ two main landmasses, (the North Island and the South Island,) and numerous smaller ഀ islands, most notably Stewart Island/Rakiura and the Chatham Islands. 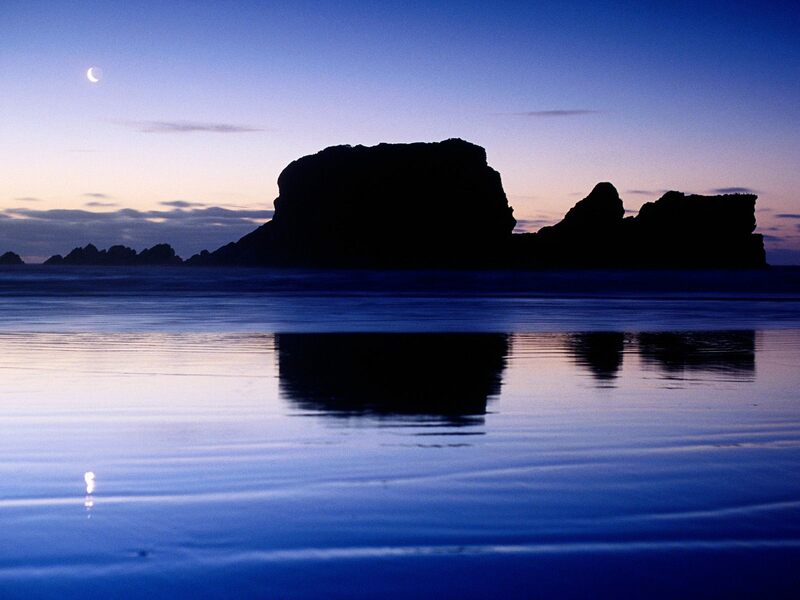 The indigenous ഀ Mori named New Zealand Aotearoa, commonly translated as The Land of the Long ഀ White Cloud. The Realm of New Zealand also includes the Cook Islands and Niue ഀ (self-governing but in free association); Tokelau; and the Ross Dependency (New ഀ Zealand's territorial claim in Antarctica). 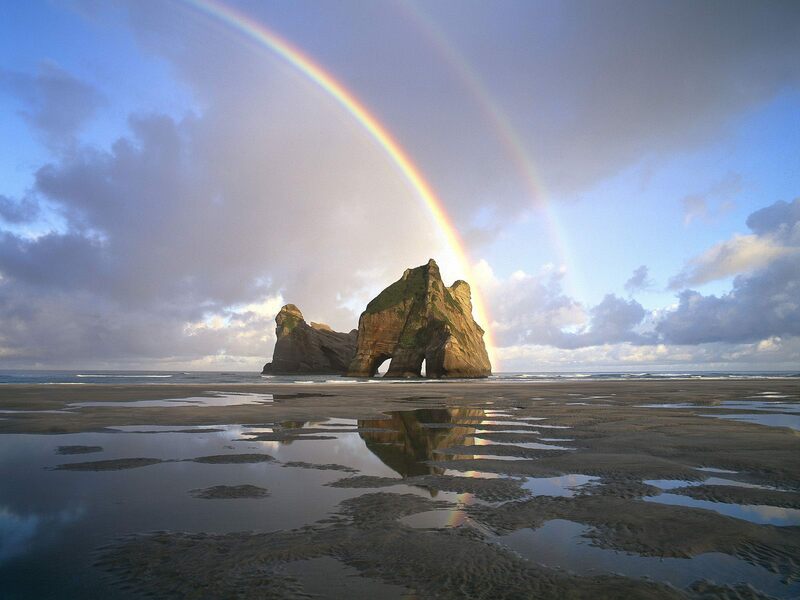 New ഀ Zealand comprises two main islands, the North and South Islands, TeIka a Maui ഀ and Te Wai Pounamu respectively in Mori, and a number of smaller islands, located ഀ near the centre of the water hemisphere. Cook Strait ഀ (see pictures NZ.1.01), 20 km wide at its narrowest point, separates the North ഀ and South Islands. The total land area, 268,680 square kilometres (103,738 sq ഀ mi), is a little less than that of Italy and Japan, and a little more than the ഀ United Kingdom. The country extends more than 1,600 kilometres (1,000 miles) ഀ along its main, north-north-east axis, with approximately 15,134 km (9,404 mi) ഀ of coastline. The most significant of the smaller inhabited islands include ഀ Stewart Island/Rakiura; Waiheke Island, in Auckland's Hauraki Gulf; Great Barrier ഀ Island, east of the Hauraki Gulf; and the Chatham Islands, named R?kohu by Moriori. ഀ The country has extensive marine resources, with the seventh-largest Exclusive ഀ Economic Zone in the world, covering over four million square kilometres (1.5 ഀ million sq mi), more than 15 times its land area. 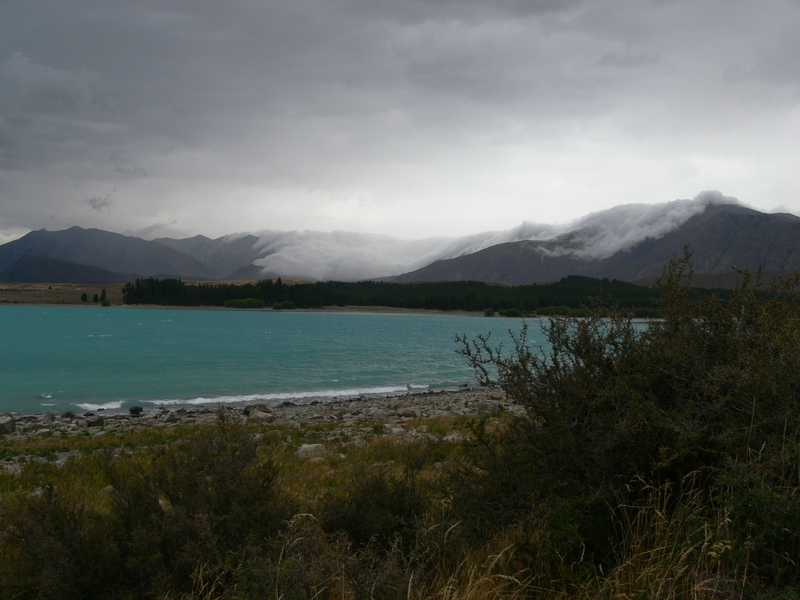 The ഀ South Island (see pictures NZ.1.02) is the largest ഀ land mass of New Zealand, and is divided along its length by the Southern Alps, ഀ the highest peak of which is Aoraki/Mount Cook at 3754 metres (12,320 ft). ഀ Presentation ഀ № 1 "Ingles New Zealand"
Presentation ഀ № 2"Auckland - New Zealand"
Presentation ഀ № 3"Image of New Zealand"
The ഀ population is mostly of European descent, with ഀ the indigenous Mori being the largest minority. Asians and non-Mori Polynesians ഀ are also significant minorities, especially in the urban areas. Elizabeth ഀ II, as the Queen of New Zealand, is the Head of State and, in her absence, ഀ is represented by a non-partisan Governor-General. She has no real political ഀ influence, and her position is essentially symbolic. Political power is held ഀ by the democratically elected Parliament of New Zealand under the leadership ഀ of the Prime Minister, who is the head of government. 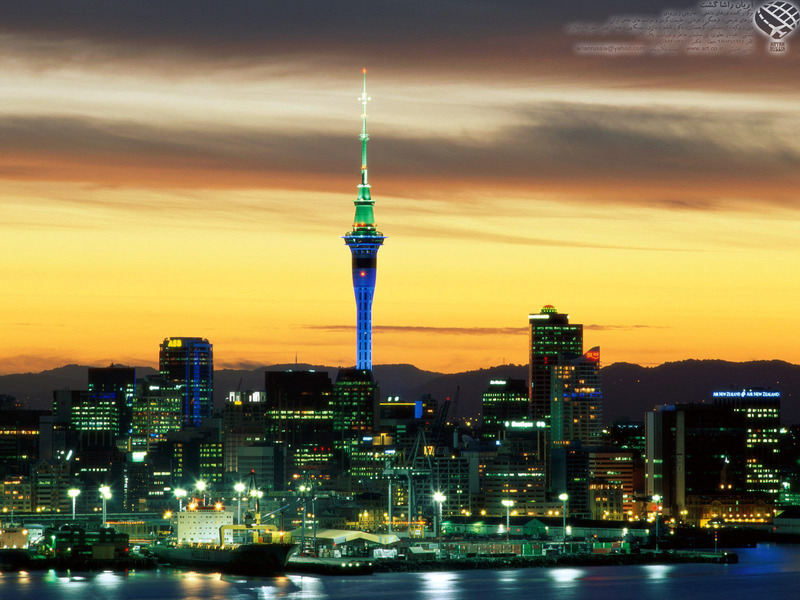 New Zealand's open economy ഀ is known for being one of the world's most free market capitalist economies. 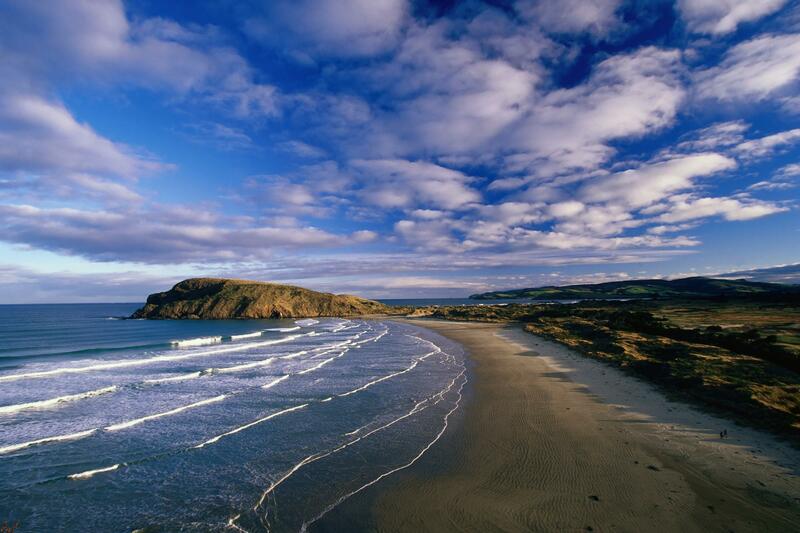 New ഀ Zealand is one of the most recently settled major landmasses. The first settlers ഀ of New Zealand were Eastern Polynesians who came to New Zealand, probably ഀ in a series of migrations, sometime between around AD 800 and 1300.Over the ഀ next few centuries these settlers developed into a distinct culture now known ഀ as Mori. The population was divided into Iwi (tribes) and hap (subtribes) ഀ which would co-operate, compete and sometimes fight with each other. At some ഀ point a group of Mori migrated to the Chatham Islands where they developed ഀ their own distinct Moriori culture. Becoming ഀ aware of the lawless nature of European settlement and increasing interest ഀ in the territory by the French, the British government sent William Hobson ഀ to New Zealand to claim sovereignty and negotiate a treaty with Mori. The ഀ Treaty of Waitangi was first signed in the Bay of Islands on 6 February 1840. ഀ The drafting was done hastily and confusion and disagreement continues to ഀ surround the translation. 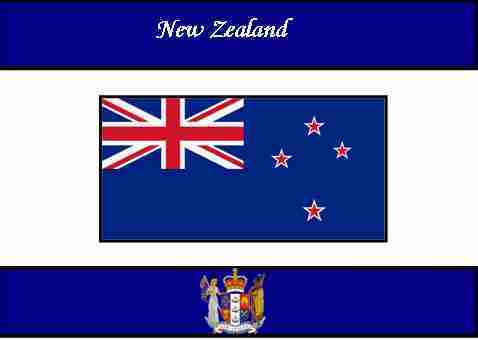 The Treaty is regarded as New Zealand's foundation ഀ as a nation and is revered by Mori as a guarantee of their rights. Hobson ഀ initially selected Okiato as the capital in 1840, before moving the seat of ഀ government to Auckland in 1841. Under ഀ British rule New Zealand had been part of the colony of New South Wales. In ഀ 1840 New Zealand became its own dominion, which signalled increasing numbers ഀ of European settlers particularly from the British Isles. At first, Mori were ഀ eager to trade with the 'Pakeha', as they called them, and many iwi (tribes) ഀ became wealthy. As settler numbers increased, conflicts over land led to the ഀ New Zealand Land Wars of the 1860s and 1870s, resulting in the loss of much ഀ M?ori land. The detail of European settlement and the acquisition of land ഀ from M?ori remain controversial. Representative ഀ government for the colony was provided for by the passing of the 1852 New ഀ Zealand Constitution Act by the United Kingdom. The 1st New Zealand Parliament ഀ met for the first time in 1854. In 1856 the colony became effectively self-governing ഀ with the grant of responsible government over all domestic matters other than ഀ native policy. Power in this respect would be transferred to the colonial ഀ administration in the 1860s. In 1863 Premier Alfred Domett moved a resolution ഀ that the capital transfer to a locality in Cook Strait, apparently due to ഀ concern the South Island could form a separate colony. Commissioners from ഀ Australia (chosen for their neutral status) advised Wellington as suitable ഀ because of its harbour and central location, and parliament officially sat ഀ there for the first time in 1865. In 1893, the country became the first nation ഀ in the world to grant women the right to vote. In 1907, New Zealand became ഀ an independent Dominion and a fully independent nation in 1947 when the Statute ഀ of Westminster (1931) was ratified, although in practice Britain had ceased ഀ to play any real role in the government of New Zealand much earlier than this. ഀ As New Zealand became more politically independent it became more dependent ഀ economically; in the 1890s, refrigerated shipping allowed New Zealand to base ഀ its entire economy on the export of meat and dairy products to Britain. New ഀ Zealand experienced increasing prosperity following World War II. However, ഀ some social problems were developing; Mori had begun to move to the cities ഀ in search of work and excitement rather than the traditional rural way of ഀ life. A Mori protest movement would eventually form, criticising Eurocentrism ഀ and seeking more recognition of Mori culture and the Treaty of Waitangi, which ഀ they felt had not been fully honoured. In 1975 a Waitangi Tribunal was set ഀ up to investigate alleged breaches of the Treaty, and enabled to investigate ഀ historic grievances in 1985. In common with all other developed countries, ഀ social developments accelerated in the 1970s and social and political mores ഀ changed. By the 1970s, the traditional trade with Britain was threatened because ഀ of Britain's membership of the European Economic Community. Great economic ഀ and social changes took place in the 1980s under the 4th Labour government ഀ largely led by Finance Minister Roger Douglas, and commonly referred to as ഀ "Rogernomics." New ഀ Zealand has a modern, prosperous, developed economy with an estimated nominal ഀ Gross domestic product (GDP) of US$128.1 billion (2008). The country has a ഀ relatively high standard of living with an estimated GDP per capita of US$30,234 ഀ in 2008, comparable to Southern Europe, e.g. Spain US$33,385, but lower than ഀ the United States at US$46,820. Since 2000 New Zealand has made substantial ഀ gains in median household income. New Zealand, along with Australia, largely ഀ escaped the early 2000s recession that affected most other Western countries. New ഀ Zealanders have a high level of life satisfaction as measured by international ഀ surveys; this is despite lower GDP per-head levels than many other OECD countries. ഀ The country was ranked 20th on the 2006 Human Development Index and 15th in ഀ The Economist's 2005 worldwide quality-of-life index The country was ranked ഀ 1st in life satisfaction and 5th in overall prosperity in the 2007 Legatum ഀ Institute prosperity index. In addition, the 2007 Mercer Quality of Living ഀ Survey ranked Auckland 5th place and Wellington 12th place in the world on ഀ its list. Taxation in New Zealand is lighter than in other OECD countries. ഀ New Zealand is one of the most free market capitalist economies according ഀ to economic freedom indices. ഀ The service sector is the largest sector in the economy (68.8% of GDP), followed ഀ by manufacturing and construction (26.9% of GDP) and the farming/raw materials ഀ extraction (4.3% of GDP). New ഀ Zealand is a country heavily dependent on free trade, particularly in agricultural ഀ products. Exports account for around 24% of its output, which is a relatively ഀ high figure (it is around 50% for many smaller European countries).This makes ഀ New Zealand particularly vulnerable to international commodity prices and ഀ global economic slowdowns. Its principal export industries are agriculture, ഀ horticulture, fishing and forestry. These make up about half of the country's ഀ exports. Its major export partners are Australia 20.5%, US 13.1%, Japan 10.3%, ഀ China 5.4%, UK 4.9% (2006).Tourism plays a significant role in New Zealand's ഀ economy. Tourism contributes $12.8 billion (or 8.9%) to New Zealand's total ഀ GDP and supports nearly 200,000 full-time equivalent jobs (9.9% of the total ഀ workforce in New Zealand). Tourists to New Zealand are expected to increase ഀ at a rate of 4% annually up to 2013. The ഀ New Zealand dollar is the currency of New Zealand. It also circulates in the ഀ Cook Islands (see also Cook Islands dollar), Niue, Tokelau, and the Pitcairn ഀ Islands. It is often informally known as the "Kiwi (dollar)". Much of ഀ contemporary New Zealand culture is derived from British roots. It also includes ഀ significant influences from American, Australian and Mori cultures, along with ഀ those of other European cultures and - more recently - non-Mori Polynesian and ഀ Asian cultures. Large festivals in celebration of Diwali and Chinese New Year ഀ are held in several of the larger centres. The world's largest Polynesian festival, ഀ Pasifika, is an annual event in Auckland. Cultural links between New Zealand ഀ and the United Kingdom are maintained by a common language, sustained migration ഀ from the United Kingdom, and many young New Zealanders spending time in the ഀ United Kingdom on their "overseas experience" (OE). The music and ഀ cuisine of New Zealand are similar to that of Britain and the United States, ഀ although both have some distinct New Zealand and Pacific qualities. ഀ Mori culture has undergone considerable change ഀ since the arrival of Europeans; in particular the introduction of Christianity ഀ in the early 19th century brought about fundamental change in everyday life. ഀ Nonetheless the perception that most Mori now live similar lifestyles to their ഀ P?keh? neighbours is a superficial one. In fact, Mori culture has significant ഀ differences, for instance the important role which the marae and the extended ഀ family continue to play in communal and family life. As in traditional times, ഀ Mori habitually perform karakia to ensure the favourable outcome of important ഀ undertakings, but today the prayers used are generally Christian. Mori still ഀ regard their allegiance to tribal groups as a vital part of personal identity, ഀ and Mori kinship roles resemble those of other Polynesian peoples. As part of ഀ the resurgence of Mori culture that came to the fore in the late 20th century, ഀ the tradition-based arts of kapa haka (song and dance), carving and weaving ഀ are now more widely practiced, and the architecture of the marae maintains strong ഀ links to traditional forms. Mori also value their connections to Polynesia, ഀ as attested by the increasing popularity of waka ama (outrigger canoe racing), ഀ which is now an international sport involving teams from all over the Pacific. Sport ഀ has a major role in New Zealand's culture, with the unofficial national sport ഀ of rugby (see pictures NZ.6.01) union being particularly ഀ influential. Other popular participatory sports include cricket, bowls, netball, ഀ soccer, motorsport, golf, swimming and tennis. New Zealand has strong international ഀ teams in several sports including rugby union, netball, cricket, rugby league, ഀ and softball. New Zealand also does traditionally well in the sports of rowing, ഀ yachting and cycling. The country is internationally recognised for performing ഀ well on a medals-to-population ratio at Olympic Games and Commonwealth Games. Rugby ഀ union, commonly referred to as rugby, is closely linked to the country's national ഀ identity. The national rugby team, the All Blacks, has the best win to loss ഀ record of any national team, and is well known for the haka (a traditional M?ori ഀ challenge) performed before the start of international matches. 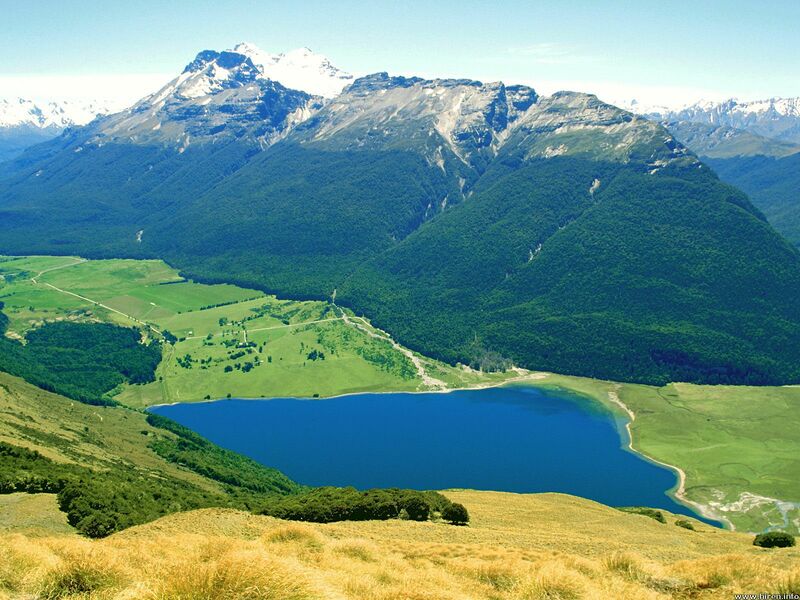 New Zealand ഀ is also well known for its extreme sports and adventure tourism. Its reputation ഀ in extreme sports extends from the establishment of the world's first commercial ഀ bungy jumping site at Queenstown in the South Island in November 1988. Mountaineering ഀ is also popular, with the country's most famous climber being the late Sir Edmund ഀ Hillary, the first person to reach the summit of Mount Everest.